This is a fabulous tutorial and very Autumnal now give it a chance because when it begins the sound is so quiet .. the sound needs to be worked on it does go low sometimes but I watched it all the way through and for its sound faults it is a lovely tutorial to watch and full of Autumn colours ... I love the leaves and the acorns ... 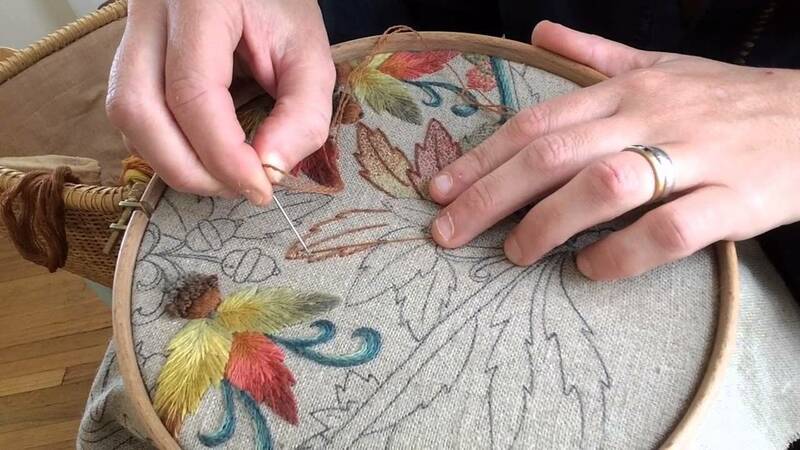 There is seed stitch too and it shows how some careful embroidery with unusual and mixed colours looks so good.